Yesterday Angela Webber of the Doubleclicks tweeted about a fellow who’d commented on the music video for Lasers and Feelings. This fellow was very upset, rageful even. 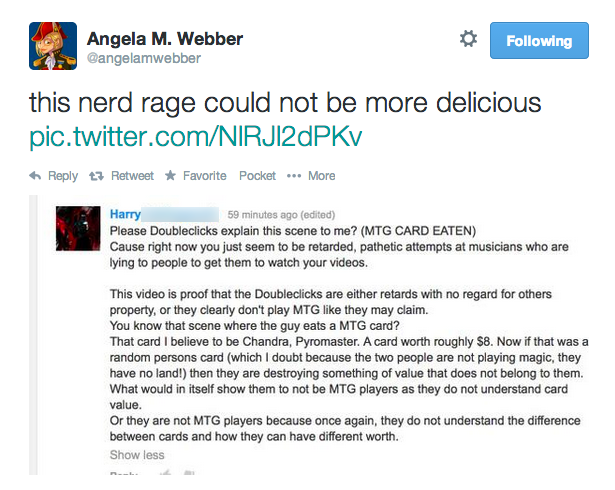 Now while I agree that this is indeed rather delicious nerd rage, I also feel a bit bad for the guy. I mean, he’s clearly missing out on good things, things he just hasn’t yet had the right opportunities to understand and appreciate. I write tutorials, and the point of those tutorials is to teach people new things, to allow them to more deeply enjoy and be involved in crafting and creating. I’ve got some pretty solid background in the many uses of Magic cards, too. 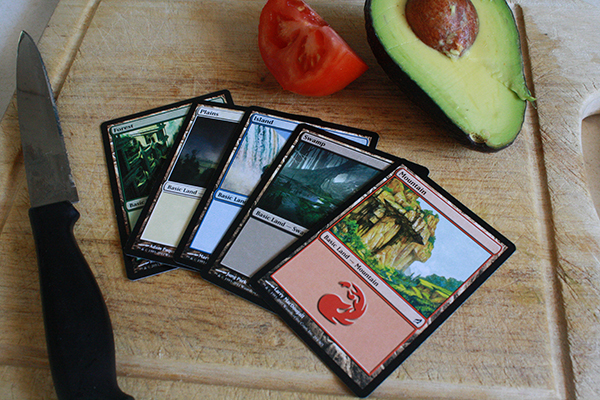 So I’ve written a tutorial, dedicated to this Harry fellow, about how to best enjoy eating Magic cards. Let’s get started. It’s important to understand that different cards have different flavours, and you should choose the ones you think will be most up your alley. Not everyone enjoys everything. Black cards tend to have a dark, often slightly bitter flavour, while green can be very earthy with hints of oak and walnut. White cards will usually be lighter and sweeter, often with citrus notes. Blue can be a difficult one to really appreciate early on, with more complex flavours, often on the salty side. It usually pairs well with shellfish. And Red is a great colour for lovers of spicy food, with its strong flavours of pepper and cumin, tending to be very dry yet flavourful. Also, while there are certainly some cards that age well, for the most part you’ll want to stick with new, fresh cards, especially at the beginning as you’re just learning what works for you. Many cards get stale within 1-2 years, and simply won’t be as pleasing to the palate. While in the Doubleclicks video a Magic card is being eaten raw, it’s important to realize that this sort of appreciation of on-their-own cards can take time, and it’s usually best to begin by putting cards into other foods. Just as a young wine drinker might start with a rosé and work their way into the more complex whites and reds, so too should new Magic card connoisseurs work their way up to the enjoyment of stand-alone cards. 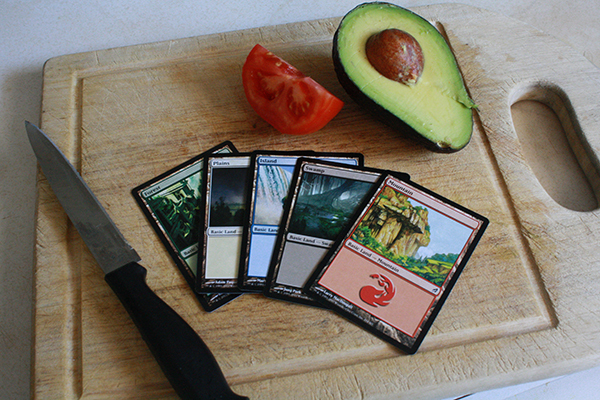 When starting out, I recommend putting cards into a sandwich or a nice green salad. Choose your cards wisely – again, for beginners it’s probably best to avoid complex flavour cards with multiple colours. Start with something simple, and work your way up. Not too simple though. Grizzly Bears, for example, really lacks flavour and is just not interesting enough to please even the least sophisticated of palates. If you want to start out with something more complex but easy to chew on, I’d recommend a Garruk. 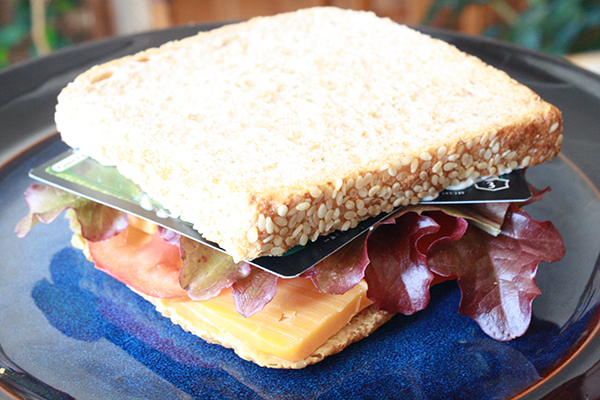 He’s a great meaty card that provides a really nice substantial base for sandwiches. 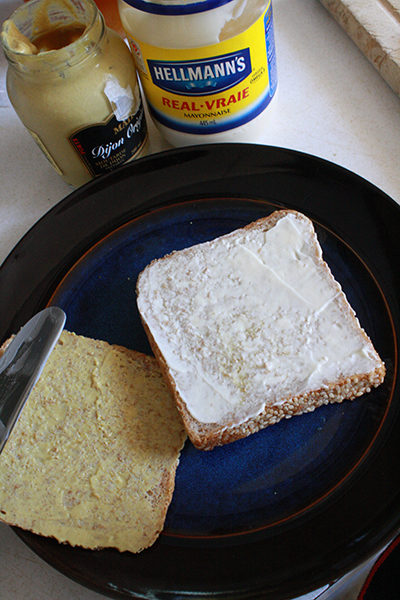 Start with two pieces of good quality bread, and slather them well with mustard and mayo. 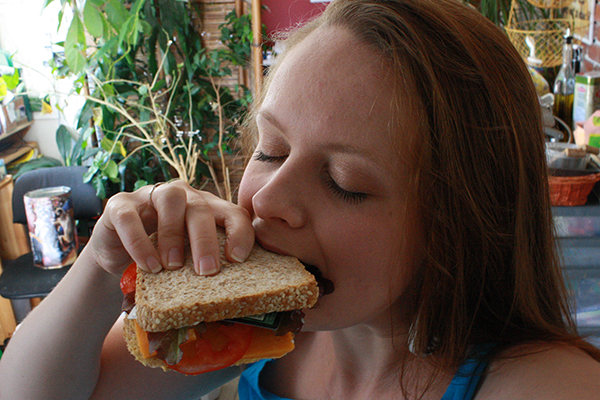 A dry sandwich never made anyone happy. Add some cheese slices, a bit of tomato and some nice fresh garden lettuce. Then lay a Garruk (or two if you’re really feeling hungry) down on that delicious bed of sandwich fixings, slap the top piece of bread on, and enjoy. Goes well with a good lager or stout. For salads, white cards are often a good bet. 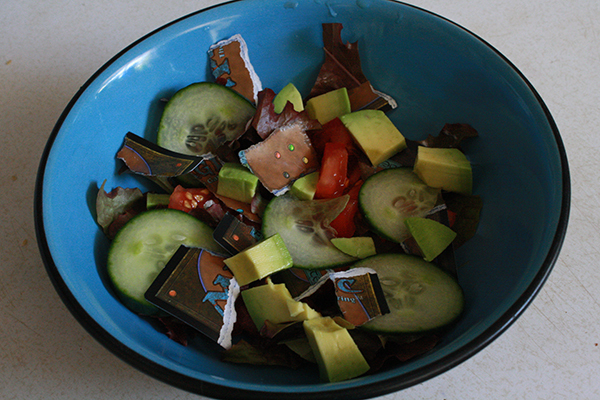 I like to chop the cards up with some tomato, cucumber, avacado, maybe even some mushrooms or apple slices, and a sprinkling of sunflower seeds or chopped almonds. Serve on a bed of fresh garden lettuce and enjoy! Goes well with a sweet summer wine. Always make sure you pair things wisely. 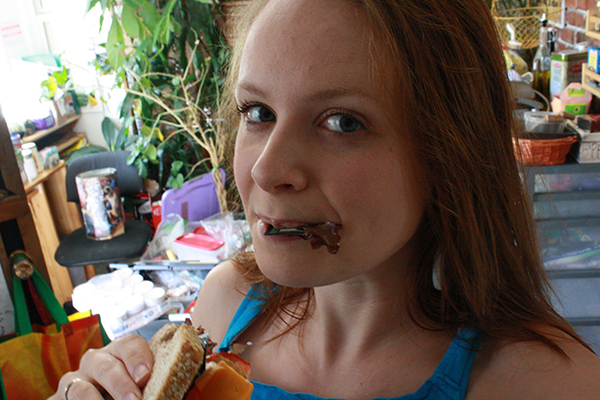 Many red cards (Chandra being a prime example), are great for those who enjoy a little heat in their meals, but you certainly don’t need to be adding any extra jalapeno slices or hot sauce to that sandwich. Lilliana has dark, peaty tones that can pair well with a bit of sweetness, like black cherries or raspberries. Or the tartness of cranberry, which is good in a salad. Just experiment and keep an open mind! If one card flavour disagrees with you don’t let that put you off – there are so many Magic cards to choose from, so there will certainly be lots you will enjoy! I find that Artifacts can be a bit metallic in flavor, but they combo well with many cards in other colors. Don’t forget the ketchup. Nom. I once saw a video of a guy eating marsh flats. He didn’t think too much of the flavor, and I think that card would be a bit too peaty for me. 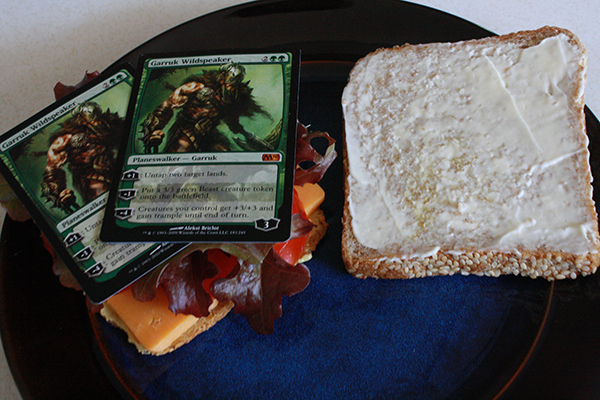 To make that Garruk sandwich even better, try making your own bread with some green cards mixed into the dough (or just sprinkled on top before you pop it in the oven). I am so confused.. Is this real? An edible card? What? WOW. I am so impressed to read the information that you have shared with us. I appreciate you for the sharing of this great post.